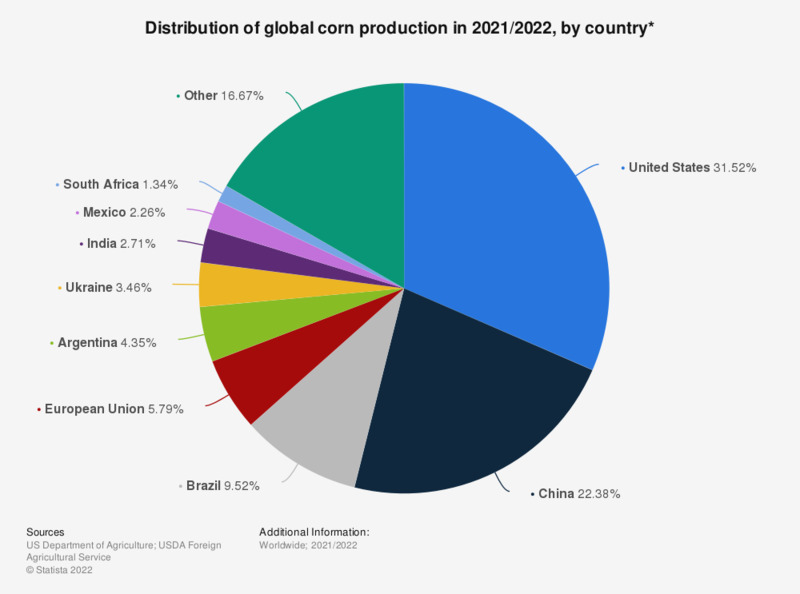 This statistic shows the distribution of the total corn production worldwide in 2017/18, broken down by country. According to the report, the United States was responsible for over a third of the world's corn production that year. Most of the U.S. production is attributable to the Corn Belt, which is located in the Midwest of the United States. Since the 1850s, corn has been the predominant crop in this area. * Figures are calculated internally based on figures provided by the source.